I thought I would write a blog post today. I need something to distract me from worrying about things that I have no control over. Let's put it this way, I now know what my family feel like when I am in surgery. It's strange being on the conscious side of the anaesthetic! Looking back at my "recent" blog posts I can't believe how little I have talked about recently. The good thing about it is, though my desire to talk to the outside world may have diminished of late, my crafting output hasn't! If I play this right, I will have dozens of blog posts that I can write and have waiting to be posted for when I'm feeling less communicative, which may be often over the coming few months. 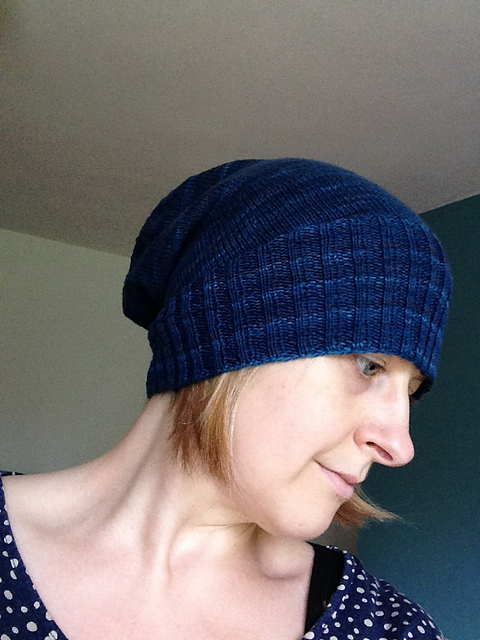 Today's post will cover the Sockhead Hat by Kelly McClure. This is a free pattern that has been doing the rounds in podcast land. It's strange to think that there are trends on blogs and there are trends on podcasts and sometimes the two meet, but not always. 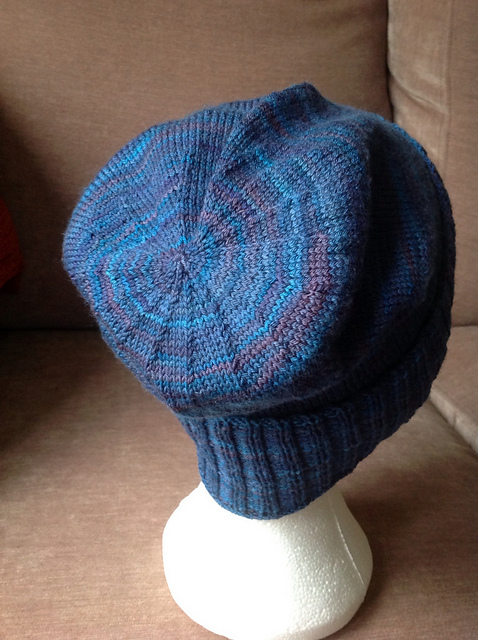 This hat uses a single skein of sock yarn. It is the perfect use for a single "special skein" of yarn that we often pick up as a souvenir or just because it is beautiful and we can just about afford it. 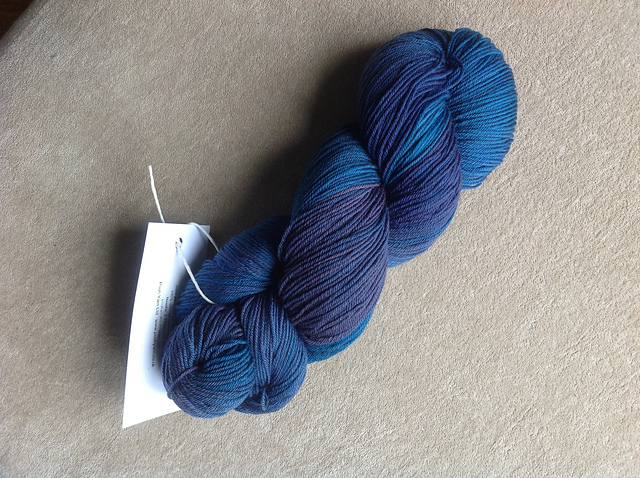 It uses the skein that is too precious to go on your feet and might be too busy for a shawl. I have to say that this pattern is brilliant. It's name really explains it well. It essentially is a big sock for your head. It starts with ribbing, moves into stocking stitch and ends with decreases to close up the top. I used a lovely skein of Posh Yarn that I bought recently. It is Posh Yarn Esme Sock in the "For You I Sigh" colourway. Esme Sock is 100% merino which is made up of lots tightly twisted plies. It has a very similar cottony feel to Wollmeise. I really enjoyed knitting with it. It has great stitch definition and I would happily knit with it again. I think it would be lovely for knitting cables. The hat itself knit up really quickly. I think it helped that I had a circular needle that was exactly the right length to avoid having to magic loop, I simply had to knit in circles for a few days! I was surprised at how flattering this hat is. 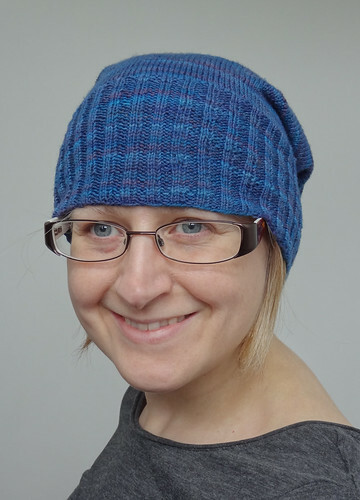 I've never been one for slouchy hats until I knitted Drizzle and discovered how well they suit me. More so than the beanie shape I've usually favoured before now. The slouch shape is softer on the face and frames it better than a beanie. I steam blocked this hat because I didn't want to stretch it too far out of shape. I pulled the ribbing taut lengthwise before pinning and steaming, to keep it from stretching. Once it was dry I pulled the hat onto my polystyrene head and pinned the crown tightly where the decreases were, before steaming. I then left it to dry again. I am so glad I did the blocking this way, as the hat still retains elasticity but the the decreases are nice and crisp. I love the way this hat covers the nape of the neck so well. Now I have short hair, this part of me gets cold much faster. You can pull the long ribbing further down to cover the gap between hat and scarf. I love how this pattern shows off the yarn so well. The simple ribbing and stocking stitch combination lets the yarn shine, which is what I want from a pattern for a single skein of sock yarn! I don't have many sock weight hats but the more I have, the more I like them. They are perfect for this temperate country. My head doesn't overheat in a sock weight hat, which was often a risk in my big cozy aran weight ones. 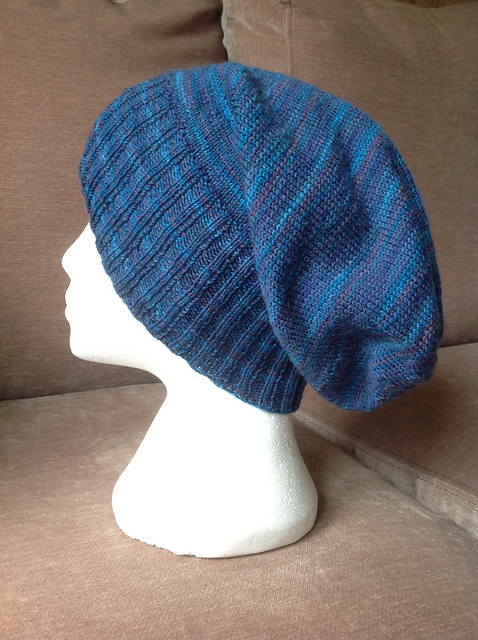 However, when it gets a bit cooler, you can fold over the ribbing and pull the hat down and it becomes a beanie shape with a nice deep brim to double up over your ears, to keep them warm. I highly recommend this pattern. I know this won't be the last time I knit this pattern, it's so wearable and uses a lovely skein so beautifully, it would be a crime not to!